Welcome to the Adlard Coles Nautical catalogue for 2014. We are delighted to present our wide range of books from across the Adlard Coles Nautical range. Whatever you need, from knot books to Almanacs, cruising guides to stunning photographic books, you can find them all at Adlard Coles Nautical. Picture this. It’s dusk and you’re walking alone over the top of a plateau. Everywhere is a hazy shade of winter-green. Wood pigeons swivel and glide on the fog. They wait until they’re well past before igniting their wings. You look up briefly, and your collar catches the cold. A small coppice sits half way down the hillside in the mist. The sun is falling fast. Just beneath the jagged horizon is the outline of a beautiful, blue lake. It’s speaking to you like a discarded 50 pence coin in a jar full of copper, but the message is muffled. Either way you decide it’s time to set up camp. Now here’s the question. Exactly where would you camp for the night? Down by the lake? In the coppice of trees? Or here, high on the plateau, overlooking the lake? It’s tough isn’t it. Personally, I’d go down. I’m not sure about you. You might like the shelter of the trees, or the higher view from the ridge. Either way, I know this. You probably wouldn’t go and camp without the view or access to the lake, because like most people, you’re drawn to water. You want to be near it, to see it, to contemplate it. And that’s what Camping by the Waterside is about. Trying to decipher those muffled messages from the wonderful, watery outback in UK and Ireland. I used to think that campsites beside water were a rarity. I started looking for them on Google Earth, staying up until late at night, flying over rivers and canals, and around the coast, looking for tents and caravans. After two years, I’d found more than 1,000 sites. If you’re a camper wanting to find camps by water, you can do one of three things. 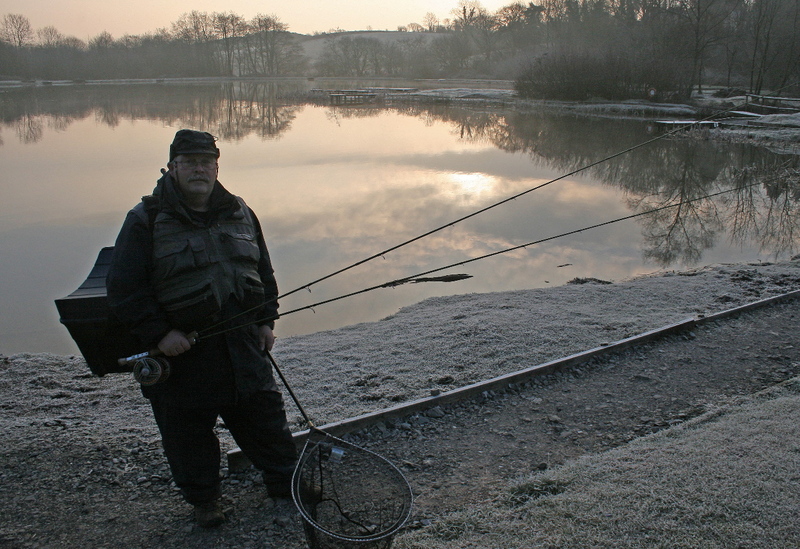 Garnffrwd Trout Fishery, Llanelli, Carmarthenshire, SA15 5BB. Stephen’s new book Camping by the Waterside publishes today! order your copy and start to discover some of the best campsites in Britain and Ireland. Sample a few pages from Stephen’s new book. Your Go-To Guide for Surviving Anything! Do you want to find out how to swim through burning oil? Or jump from a moving train? Or escape a stampede? Find the answers to survival questions great and small in our brilliant and completely addictive new book The Ultimate Survival Manual. Written in a wry, humorous way and packed with colour photographs, illustrations, diagrams and lists, The Ultimate Survival Manual will teach you absolutely essential skills, abilities and techniques. However did you manage to survive without them? Author Rich Johnson was a paratrooper and demolition officer with US Special Forces. He once survived in the desert for a year, living in a cave and eating insects. Could you survive a night alone in your office? Watch our new Survival Manual trailer, where we put Rich Johnson’s essential survival tips to the test. Moaning about the rain might be a national hobby, but why not be original and embrace our soggy weather instead? This week’s guest blog by camping guru Stephen Neale (author of the forthcoming guidebook Camping by Water) shows you how to do exactly that, and make the most of our amazing watery locations in any weather (but especially the rain). Flights abroad are almost back in vogue. The wettest April on record followed by a miserable May bank holiday means camping and canvas suddenly seem about as exciting as hard boiled eggs and ironing. But there’s still a chance to make the most of a holiday at home. Beat the rain…by staying wet. Fun on the water in warm wetsuits has a unique appeal in Europe’s unsettled weather zone, because it doesn’t matter if the heavens open. No bad weather – just bad clothes. Investing in wet gear is priority number one for clean, inland and coastal waters, which can remain cold all year round. Good wetsuits cost less than £250 and last for years. 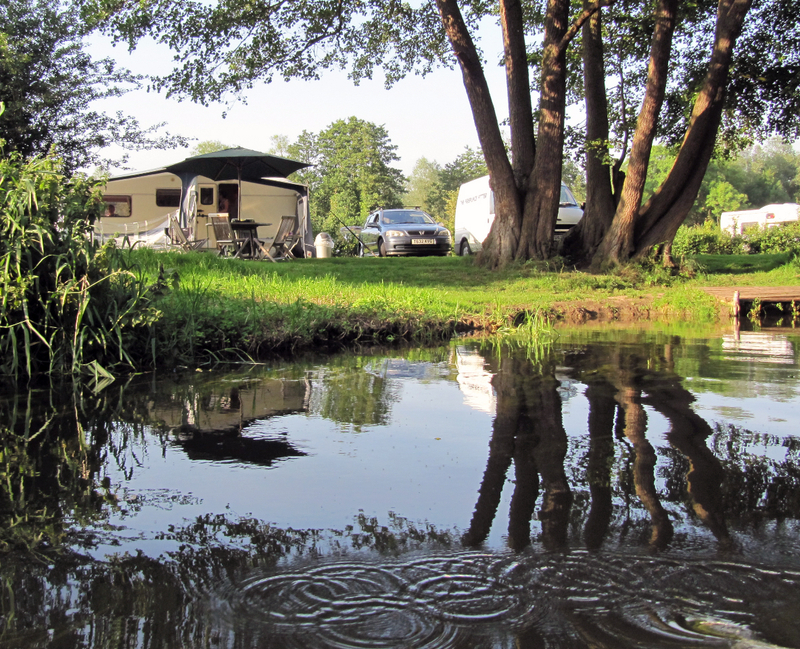 All of my own favourite campsites sit right next to lakes, rivers, beaches and canals. Go invest in quality wetgear and waterproofs, forget about the weather, and enjoy. Here are five great waterside sites (from the small to the large) to visit this year, whatever the weather. Next to a Highlands golf course, the views over Eigg and Rum, and the Cuillins of Skye, are worth the modest pitch fee alone. 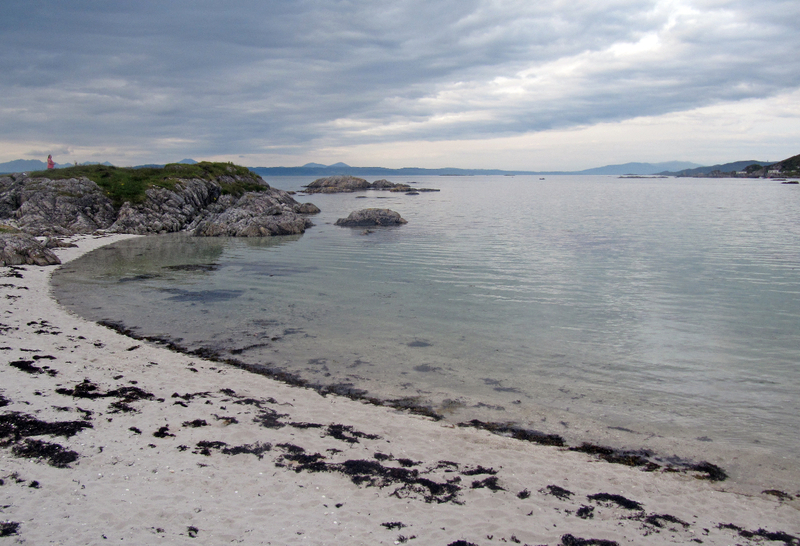 The white, sandy beach stretches way beyond the Traigh cove. The clear waters are great for snorkelling and are warmed by the Gulf Stream. For the wild swimmers with a passion for back to nature. If you’re willing to share the River Stour with canoes, lily pads and swans, everyone gets along just fine. 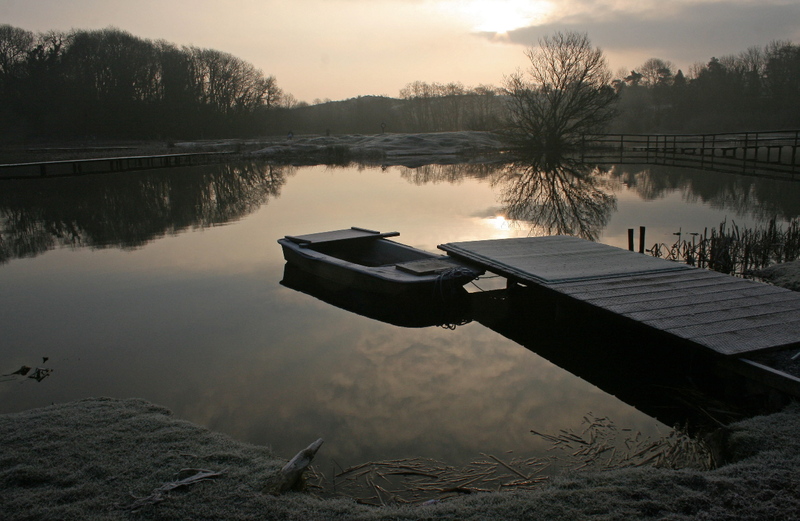 Bosworth is a rare lakeside site, with its own small beach. 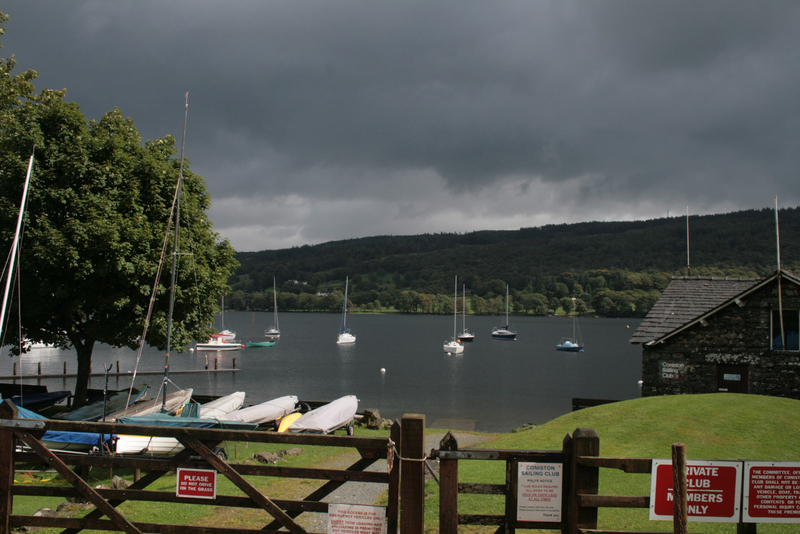 Sailing, fishing, swimming, canoes, kayaks and windsurfing are all available, with equipment to hire. Kids love the adventure playground and feeding the giant carp. Coniston Hall is a working farm looking out across the lake, and here you can camp in the shadow of the Fells. Fishing, swimming, snorkeling and boating are available directly from the campsite shore. Twenty pound pike and perch are most commonly caught on lures and spinners from small boats or kayaks. The site shop sells a few basics. 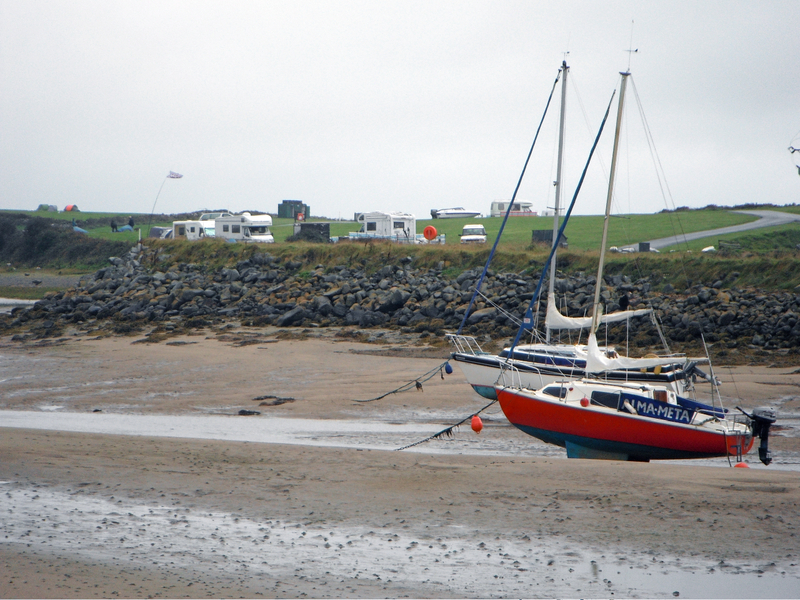 The UK’s largest campsite is an island on the north edge of Cardigan Bay. Choose to launch your own craft, or swim from one of three bathing beaches. The main beach stretches six miles to Barmouth, and has some of Wales’ highest dunes. This is a great site for sailing, and for kids who want to while away the hours crabbing. Camping by Water by Stephen Neale is being published by Adlard Coles Nautical in March 2013. For more info now, visit Stephen’s website or listen to him on BBC Lincolnshire here.